Gunos Irenos Miuler (Gunn Iren Müller), nacionalinio Norvegijos tėvų komiteto vadovės, pranešimas „The Role of Parents in the National Education System in Norway“, skaitytas tarptautinėje konferencijoje „Tėvų vaidmuo nacionalinėse Šiaurės šalių švietimo sistemose“ („Role of Parents in the National Education System in Nordic Countries“). President's of the National Parents committee for primary and secondary education in Norway Gunn Iren Müller report „The Role of Parents in the National Education System in Norway“. 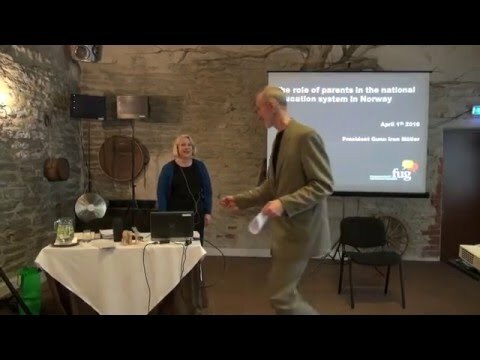 International Conference „Role of Parents in the National Education System in Nordic Countries“. Estonian Parent Association. Tallinn, 1 April 2016.